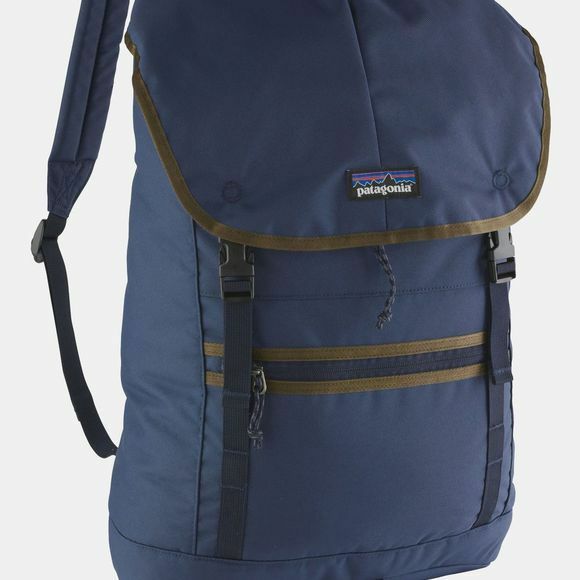 The Arbor Classic 25L Backpack from Patagonia is inspired by the classic design but with the modern twist. Harkening back to the heritage in packs, the Arbor Classic Pack carries most everything you need in one large, main compartment. 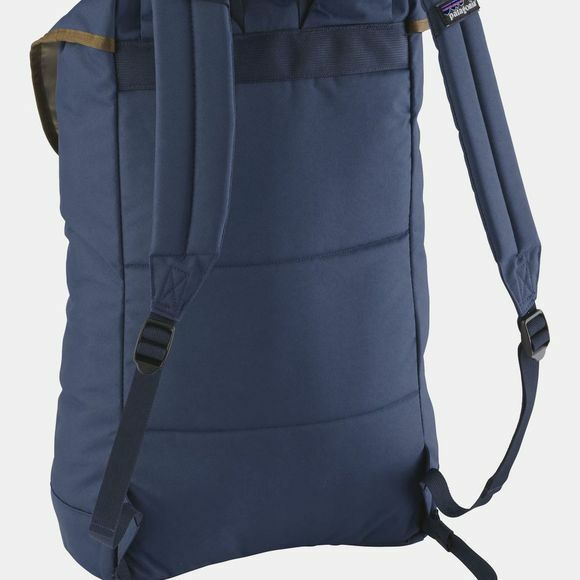 It closes with a drawcord and seals with a large flap pocket to hold your inventory of everyday goods—from books, lunch and a shell, to climbing shoes and chalkbag. A zipped pocket beneath the lid stashes a wallet and phone out of view. Inside, a raised, padded sleeve fits most 15" laptops and also doubles as an insulated hydration reservoir when you hit the trails. A small, zipped front pocket holds your keys, sunglasses and boarding pass. Human Curve straps conform ergonomically to your shoulders and upper chest for all-day comfort under loads. The Arbor Classic is also eco-friendly, being made from all-recycled fabrics. Both outer fabric and lyning have a polyurethane coating and a DWR (durable water repellent) finish. Padded laptop sleeve up to 15"